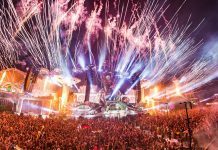 Home Edm News Lost Frequencies: You should not be affraid to take risks ! 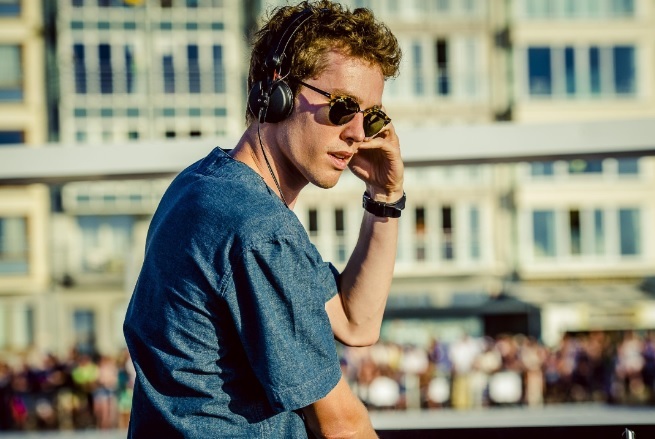 Our team got the opportunity to sit down for a special interview with the extremely talented Felix De Laet, a.k.a the Belgian DJ and producer Lost Frequencies. We asked him how he came up with his DJ name, more about his debut studio album ‘Less is More‘, about hosting his very own ‘Lost Frequencies & Friends‘ stage at this year’s edition of Tomorrowland festival and many many more. Despite all his success, Felix De Laet remains a down-to-earth guy. He was really polite and happy to answer all of our questions and we wish him the best for the rest of the year. How did you come up with your DJ Name? What’s the story behind ‘Lost Frequencies’? Can you tell us more about the Deluxe Version of your debut album ‘Less Is More’? Felix: I had a lot of fun with it ! I was really proud of my debut album and I think it showed a wide range off what I do as an artist but a lot of tracks I also make more up-beat edits of, remixes that are ready for the club and for festivals, so I wanted a place to showcase the different versions I had created at a different point. What is one of your personal favorite tracks on the album ‘Less is More’? 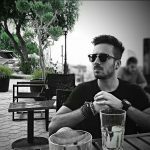 Felix: Well, I really enjoyed making ‘Send Her My Love’ as it was different from the usual Lost Frequencies sound people are used to, the vocal was fun to experiment with in the studio, too, as I was constantly chopping and changing ideas around. How does it feel to have your own ‘Lost Frequencies & Friends’ stage at this year’s Tomorrowland ? Felix: It felt amazing! We had so much fun last year that we had to bring it back, haha! We had Duke Dumont and some other friends come by this year and when I played my own set on that stage, it was crazy, we had a road-block of people trying to flood the tent! It had a great energy, as Tomorrowland always does – it’s an honour to be a part of the event in such a big way once again. You sold out the entire ‘Lotto Arena’ for your hometown fans. Your show was one of the best this year. Can this become a tradition, you playing for your hometown fans every single year ? 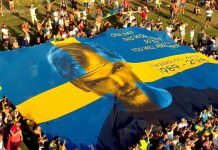 Can we expect soon a documentary or movie about your career as a DJ and producer ? Felix: Not at this stage no – it is fun giving fans a look into what I do and the things we get up to on the road (Like with my Miami aftermovie for example), but a film or documentary wouldn’t feel right, or relevant, this early on in my career. Besides EDM, what other genres of music do you regularly listen to ? Felix: I listen to all type of music! Right now I’m back listening to a lot of classic electro, guys like The Bloody Beetroots etc, I’m definitely going through an electro phase at the moment. What is your opinion regarding the difference between old school DJing where everything was restricted to vinyl and modern DJing where most tracks are never put on any physical medium before or after release ? Felix: I think the digital developments are very good for DJs. It offers a lot more selection, choice and variety for sets when carrying around a lot of Vinyl would be a task. Sometimes tracks are never put out physically but, like I did with my debut album Less Is More, we offered a physical CD so fans could still purchase it and hold it in their hands – it was also a big moment for me personally. What advice would you give to young DJs & producers who are starting out ? Felix: Don’t be afraid to take risks! Felix: Yes! I’ll be releasing more music before the end of the year and I have a lot of exciting shows coming up including New Horizons in Germany, Les Solidarités back home in Belgium which is always fun, and a lot of shows in Ibiza. It’s been my busiest year yet on the island and I’ve had so much fun playing at all the different parties like Dimitri (Vegas) & (Like) Mike’s Garden Of Madness parties, Kygo’s shows and Martin Garrix’s Multiply. I’ll also be back at ADE in October which is a crazy but super fun week – I’m excited and ready for the next steps! 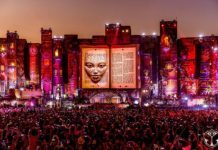 Check out Lost Frequencies’ mainstage set at Tomorrowland 2017 below.